An Israeli spy satellite lifted off Tuesday from a military airbase overlooking the Mediterranean Sea, but officials said the spacecraft ran into unspecified problems shortly after reaching orbit. The Ofeq 11 reconnaissance payload launched at 5:30 p.m. local time (1430 GMT; 10:30 a.m. EDT) Tuesday from the Palmachim Air Force Base, according to the Israeli Defense Ministry. The late afternoon launch of the Ofeq 11 satellite aboard a Shavit 2 booster was visible from Tel Aviv, where onlookers captured the solid-fueled rocket’s exhaust trail and second stage ignition in videos posted on YouTube. The launch video posted above was released by the Israeli Defense Ministry and posted to YouTube by Judah Ari Gross, a defense reporter for the Times of Israel. The three-stage Shavit 2 launcher flew to the west over the Mediterranean Sea, heading for a retrograde orbit in which the Ofeq 11 satellite flies in the opposite direction of Earth’s rotation. Such orbits are unusual, but Israel commonly launches its satellites on westerly trajectories to avoid flying Shavit rockets over populated areas on land. 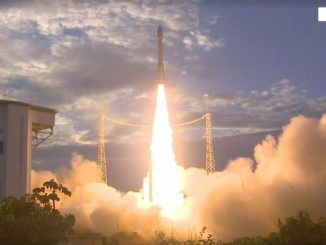 The Israeli Defense Ministry announced the Ofeq 11 satellite, manufactured by Israel Aerospace Industries, successfully entered orbit following Tuesday’s liftoff, and engineers were evaluating the status of the spacecraft system’s in the early hours of its mission. “There are a number of things that worry us, said Amnon Harari, the defense ministry’s director of aerospace, said in a report published on the Haaretz website. “There are a few matters that don’t seem routine, but the process of diagnosing the satellite’s situation is continuing,” said Opher Doron, head of IAI’s space division, Haartz reported. 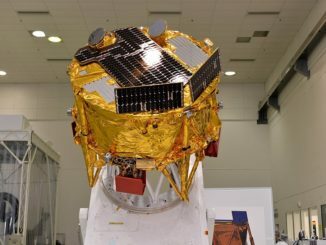 Officials released few other details of the Ofeq 11 mission, the latest in a series of military-operated spy satellites launched by Israel since 1988. Tuesday’s launch was the 10th flight of a Shavit rocket, and eight of the rocket flights have been successful. Ofeq means “horizon” in Hebrew. Ofeq 11 likely carries a high-resolution optical camera system to obtain detailed images of Israel’s neighbors from orbit. The last Israeli spy satellite, Ofeq 10, launched in April 2014 with an all-weather radar imaging instrument. 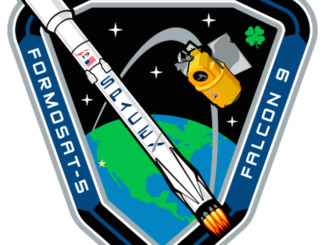 The launch of Ofeq 11 came less than two weeks after the destruction of the Amos 6 communications satellite owned by Israel’s Spacecom Ltd. Amos 6, also built by IAI, was mounted on top of a SpaceX Falcon 9 rocket when it exploded on the launch pad during fueling Sept. 1.